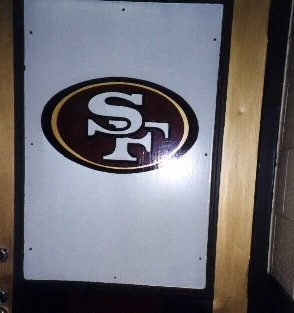 This door leads to the 49ers clubhouse. Follow me. I'll show you Steve Young's locker.